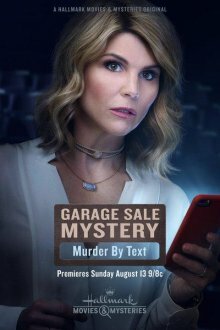 The main character of the series “Garage Sale Mystery: Murder by Text ” owns an antique store and walks through garage sales to refill the assortment. She uses her intuitive skills to investigate the death of her friend in a multi-million-dollar home with a dark history. Jennifer is skeptical that Lita’s death was in fact suicidal. Lita was the bass player of the famous country-singer group. Next, the main character finds the body of a local teacher of college history, hidden in the armor, which she bought. As a result, Jennifer herself is in danger now.